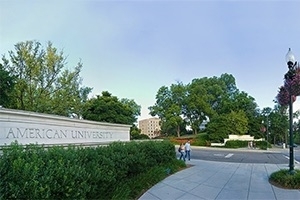 School of Public Affairs to Host the Public Management Research Conference in Washington, DC | News | School of Public Affairs | American University in Washington, D.C.
American University’s School of Public Affairs will host the 2017 Public Management Research Conference, June 8-10. The school was selected by the Public Management Research Association following an open call-for-proposals. The Public Management Research Conference meets annually, alternating between international and domestic venues, most recently in Aarhus, Denmark. It is the foremost gathering of public management experts in the world. In addition, PMRA publishes the Journal of Public Administration Research and Theory (JPART), one of the premier journals in the field. For more information, please visit the Public Management Research Association website.